John Flucke's Blog - Ramblings of Dentistry's Technology Evangelist: Dental Recycling North America is *Giving Away* Amalgam Separators!!! 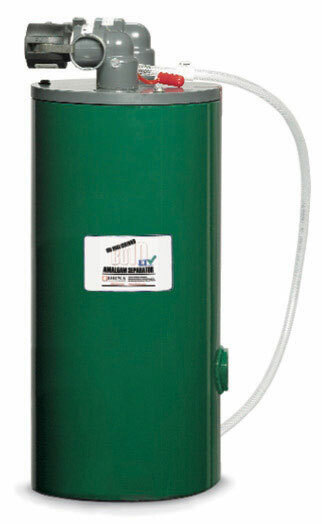 Dental Recycling North America is *Giving Away* Amalgam Separators!!! In case you haven’t heard… the EPA has required all dental offices to install amalgam separators. The rule has been on the books since last July 14 (2017) and will require compliance by July 14, 2020. While that seems like it might be a ways away, it’s never a bad thing to prepare early. As the deadline looms ever more close, costs will probably go up and supply could very well go down. That could mean you might be scrambling to get your office in compliance. More info from the Electronic Code of Federal Regulations can be seen with this link. However, how would you like to get in compliance and not have to pay for the amalgam separator? You heard me right. I’m talking about FREE. I had an amalgam separator installed a few years ago. To me it just seemed to be the right thing to do. I installed a unit that I purchased from Dental Recycling North America (DRNA). Over the years, I’ve learned to trust them for providing a turn-key solution that I can count on. Now, the good people at DRNA are offering an *incredible* deal for you. You can get a unit valued at $850 dollars that meets the EPA rule for FREE!!! This offer is for the fist 1000 customers and is good through December 2018. Interested? I thought so. Call 1-800-360-1001 extension 2 and ask for David Picone to receive the special offer. For those of you unfamiliar with how these devices work, here is the rundown. The separator size is based on the number of practice treatment facilities. It is installed as part of the vacuum system and removes all amalgam pieces and residue before the waste water enters back into the city drain. About once per year the filter must be replaced. DRNA will ship you one when it’s time for maintenance. Simply call your local service tech and they can perform the switch quickly and easily. I love the fact that DRNA ships the new filter every year so that the office doesn’t need to keep track of anything. The system has performed exactly as it should for as long as I’ve had it. I highly recommend DRNA.